Can Ketamine Help Lyme disease treatment? infusions, trigger point injections and a radiofrequency ablation procedure did not alleviate her pain. Ketamine was found to effectively lessen the woman’s pain, decreasing it by approximately 71%. infection or tick-borne co-infection might underlie the illness. Lyme disease is a bacterial infection transmitted by ticks. Lyme disease was first recognized in 1975, after researchers investigated why unusually large numbers of children were being diagnosed with juvenile rheumatoid arthritis in Lyme, Conn., and two neighboring towns. The investigators discovered that most of the affected children lived near wooded areas likely to harbor ticks. They also found that the children’s first symptoms typically started in the summer months coinciding with the height of the tick season. Several of the patients reported having a peculiar skin rash just before developing arthritis symptoms, and many also recalled being bitten by a tick at the rash site. 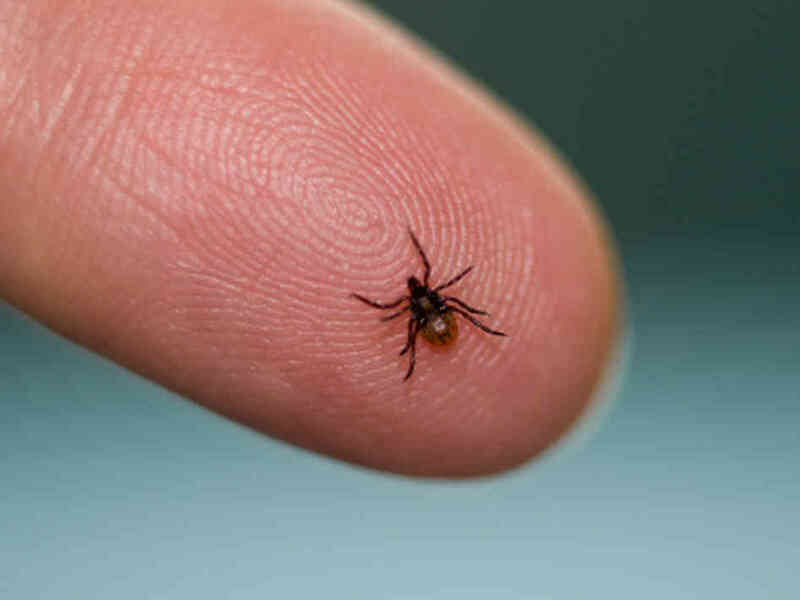 Further investigations resulted in the discovery that tiny deer ticks infected with a spiral-shaped bacterium or spirochete (which was later named Borrelia burgdorferi) were responsible for the outbreak of arthritis in Lyme. Ordinary “wood ticks” and “dog ticks” do not carry the infection. The ticks most commonly infected with B. burgdorferi usually feed and mate on deer during part of their life cycle. The recent growth of the deer population in the northeast and the building of suburban developments in rural areas where deer ticks are commonly found have probably contributed to the increasing number of people with the disease. The number of reported cases of Lyme disease, as well as the number of geographic areas in which it is found, has been increasing. Lyme disease has been reported in nearly all states in this country, although most cases are concentrated in the coastal northeast, Mid-Atlantic States, Wisconsin, and Minnesota, and northern California. Lyme disease is also found in large areas of Asia and Europe. Recent reports suggest that it is present in South America, too. In addition to causing arthritis, Lyme disease can also cause heart, brain, and nerve problems. Lyme disease is transmitted through a bite from a specific type of tick. The animals that most often carry these insects are white-footed field mice, deer, racoons, opossums, skunks, weasels, foxes, shrews, moles, chipmunks, squirrels, and horses. The majority of these ticks have been found in New York, Connecticut, Massachusetts, Maryland, New Jersey, Minnesota, and Wisconsin. Erythma migrans. Erythema migrans is the telltale rash which occurs in about 70% to 80% of cases and starts as a small red spot that expands over a period of days or weeks, forming a circular, triangular, or oval-shaped rash. Sometimes the rash resembles a bull’s-eye because it appears as a red ring surrounding a central clear area. The rash, which can range in size from that of a dime to the entire width of a person’s back, appears between three days and a few weeks of a tick bite, usually occurring at the site of a bite. As infection spreads, several rashes can appear at different sites on the body. Erythema migrans is often accompanied by symptoms such as fever, headache, stiff neck, body aches, and fatigue. These flu-like symptoms may resemble those of common viral infections and usually resolve within days or a few weeks. Arthritis. After several weeks of being infected with Lyme disease, approximately 60% of those people not treated with antibiotics develop recurrent attacks of painful and swollen joints that last a few days to a few months. The arthritis can shift from one joint to another; the knee is most commonly affected and usually one or a few joints are affected at any given time. About 10% to 20% of untreated patients will go on to develop lasting arthritis. The knuckle joints of the hands are only very rarely affected. Neurological symptoms. Lyme disease can also affect the nervous system, causing symptoms such as stiff neck and severe headache (meningitis), temporary paralysis of facial muscles (Bell’s palsy), numbness, pain or weakness in the limbs, or poor coordination. More subtle changes such as memory loss, difficulty with concentration, and a change in mood or sleeping habits have also been associated with Lyme disease. People with these latter symptoms alone usually don’t have Lyme disease as their cause. Nervous system abnormalities usually develop several weeks, months, or even years following an untreated infection. These symptoms often last for weeks or months and may recur. These features of Lyme disease usually start to resolve even before antibiotics are started. Patients with neurologic disease usually have a total return to normal function. Heart problems. Fewer than one out of 10 Lyme disease patients develops heart problems, such as an irregular, slow heartbeat, which can be signaled by dizziness or shortness of breath. These symptoms rarely last more than a few days or weeks. Such heart abnormalities generally appear several weeks after infection, and usually begin to resolve even before treatment. Other symptoms. Less commonly, Lyme disease can result in eye inflammation and severe fatigue, although none of these problems is likely to appear without other Lyme disease symptoms being present. Lyme disease may be difficult to diagnose because many of its symptoms mimic those of other disorders. Although a tick bite is an important clue for diagnosis, many patients cannot recall having been bitten by a tick. This is not surprising because the tick is tiny, and a tick bite is usually painless. ELISA. This blood test measures the levels of antibodies against the Lyme disease bacteria that are present in the body. Antibodies are molecules or small substances tailor-made by the immune system to lock onto and destroy specific microbial invaders. Western blot. This blood test identifies antibodies directed against a panel of proteins found on the Lyme bacteria. The test is ordered when the ELISA result is either positive or uncertain. The presence of antibodies, however, does not prove that the bacterium is the cause of a patient’s symptoms. The presence of specific antibodies suggests a prior infection, which may or may not still be active. Note: In the first few weeks following infection (when the rash first appears), antibody tests are not reliable because a patient’s immune system has not produced enough antibodies to be detected. Antibiotics given to a patient early during infection may also prevent antibodies from reaching detectable levels, even though the Lyme disease bacterium is the cause of the patient’s symptoms. Other tests. Some patients experiencing nervous system symptoms may also undergo a spinal tap. A spinal tap is a procedure in which spinal fluid is removed from the spinal canal for the purpose of diagnosis in a laboratory. Through this procedure, doctors can detect brain and spinal cord inflammation and can look for antibodies against the Lyme disease bacterium in the spinal fluid. In its early stages, Lyme disease can be effectively treated with antibiotics. In general, the sooner such therapy is begun following infection, the quicker and more complete the recovery. Antibiotics, such as doxycycline or amoxicillin taken orally for two to four weeks, can speed the healing of the rash and can usually prevent subsequent symptoms such as arthritis or neurological problems. There is no compelling evidence that prolonged antibiotic therapy is more effective than two weeks of therapy. Prolonged antibiotic use may have serious side effects. Intravenous (IV) antibiotics may be used for more serious cases and for someone whose nervous system has been affected. Lyme disease with arthritis also can be treated with antibiotics. 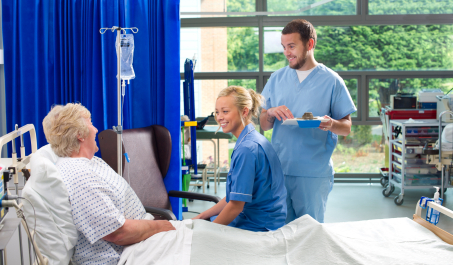 Most patients experience full recovery. Patients younger than 9 years or pregnant or lactating women with Lyme disease are treated with amoxicillin or penicillin because doxycycline can stain the permanent teeth developing in young children or unborn babies. Patients allergic to penicillin are given erythromycin or related antibiotics. Doctors prefer to treat Lyme disease patients experiencing heart symptoms with antibiotics such as Rocephin, Claforan, or penicillin given intravenously for about two weeks. If these symptoms persist or are severe enough, patients may also be treated with corticosteroids or given a temporary internal cardiac pacemaker. People with Lyme disease rarely experience long-term heart damage. Following treatment for Lyme disease, some people still have persistent fatigue and achiness. This general malaise can take months to slowly disappear, although it generally does so spontaneously without the use of additional antibiotic therapy. There is no evidence that the Borrelia infection causes systemic exertion intolerance disease (formerly called chronic fatigue syndrome) or fibromyalgia. Although some patients with Lyme disease may develop these problems, as with other patients who get SEID or fibromyalgia, long-term antibiotics will not hasten recovery. A new, innovative treatment for pain associated with Chronic Lyme Disease is IV Ketamine Infusions. At the Florida Spine Institute, Dr. Ashraf Hanna’s treatment protocols are individually planned depending on the nature of the patient’s pain and responsiveness to initial sessions. Dr. Hanna’s chronic Lyme patients have experienced very successful results with IV Ketamine treatments. How Can I Prevent Getting Lyme Disease? Fortunately, the cause of Lyme disease is known and the disease can be prevented. Essential to prevention is the avoidance of deer ticks. Although generally only about one percent of all deer ticks are infected with the Lyme disease bacterium, in some areas more than half of them harbor the microbe. Most people with Lyme disease become infected during the late spring, summer, and early fall when immature ticks are out looking for their meal. Except in warm climates, few people are bitten by deer ticks during winter months. Deer ticks are most often found in wooded areas and nearby grasslands, and are especially common where the two areas merge, including neighborhood yards where deer occasionally roam. Ticks do not survive long on sunny lawns, they dry out quickly and die. Wear long sleeves and tightly woven clothing that is light in color when walking in wooded areas so the ticks can be seen more easily. Wear your shirt tucked into your pants, and your pants tucked into your socks or boots. Walk in the center of trails through the woods to avoid picking up ticks from overhanging grass and brush. Keep grass trimmed as short as possible. Check yourself, your family, and your pets routinely for ticks, especially after a trip outdoors. Shower and shampoo your hair if you think you may have been exposed to ticks. Check your clothes for ticks and wash them immediately in order to remove any ticks. If an infected tick bites, it will not transmit the infection until it has had the opportunity to have its blood meal. This takes time, thus there is value in inspecting your body after outdoor activities in areas where Lyme disease is known to occur. Newly attached ticks can be easily removed before they transmit the infection. Pregnant women should be especially careful to avoid ticks in Lyme disease areas because the infection can be transferred to the unborn child. Such a prenatal infection can make the woman more likely to miscarry. Preventative antibiotics are not generally used following all tick bites, but may be used in some special circumstances; a recent study showed that such preventive use of antibiotics is very effective. In 1998, the FDA approved a vaccine for Lyme disease called LYMErix. Although some people reported getting sick from the vaccine, the FDA found no evidence that it was dangerous. However, in February 2002, the makers of the vaccine pulled it off the market due to poor sales. Currently, there is no available vaccine on the market for Lyme disease. What Is the Outlook for People With Lyme Disease? Most people with Lyme disease respond well to antibiotic therapy and recover fully. Some people may have persistent symptoms or symptoms that recur, making further antibiotic treatment necessary. If left untreated, Lyme disease can cause permanent damage to the heart, nervous system, and joints. A bout with Lyme disease and successful treatment are no guarantee that the illness will be prevented in the future. The disease can strike more than once in the same individual if he or she is bitten by another tick and re-infected with the Lyme disease bacterium. The antibody test usually remains positive for months to many years after an infection. The presence of antibodies in the blood is not sufficient reason for continued or re-treatment with antibiotics.